LOS ANGELES, CA--(Marketwired - May 11, 2016) - Snaidero USA will be the kitchen and bath cabinetry provider for Chicago's anticipated high-rise that will stand as the third tallest building in Chicago. 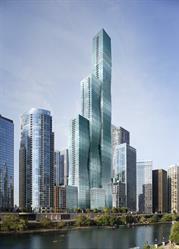 The Wanda Vista building will be the epitome of luxury city living in the windy city, housing 406 units. 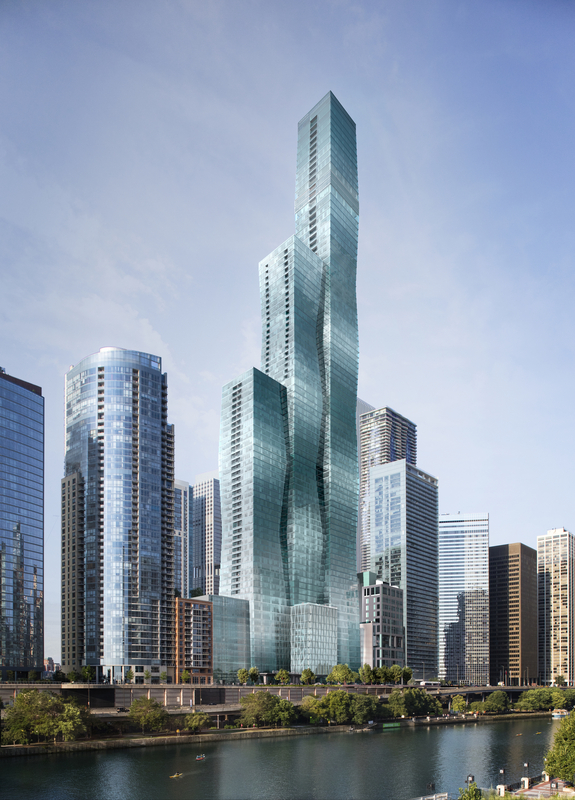 The project is developed by the Chinese Wanda Group and Chicago-based Magellan Development Group and will comprise both large residential units and hotel rooms in a luxury 95-story tower that is poised to become a landmark of the Chicago skyline. The expert teams from Studio Gang, bKL Architecture, and Hirsch Bedner Associates (HBA) designers selected Snaidero's WAY, a GOOD DESIGN™ Award-winning cabinetry line to complement the posh interiors of the Vista Residences. The building's design identifies architectural elegance and captures the essential beauty found in crystals, minerals and gems. The WAY model perfectly reflects and captures the natural beauty this space entertains. With its clean modern aesthetics, high-end functionality and subtle details, WAY is the quintessential expression of Made-in-Italy design and craftsmanship. In collaboration with the architecture and design teams, the design team of Studio Snaidero Chicago created four distinct kitchen designs that are elegant and contemporary in look. The designs include a variety of finishes and elements, open shelving and flip-up upper cabinets. Snaidero USA is dedicated to eco-friendly materials and practices, WAY continues this tradition by implementing standards that protect the environment while improving the quality of life inside the home. WAY incorporates eco-friendly wood from reserves certified by the Forest Stewardship Council (FSC), which establishes the right balance between tree-cutting and forest planting. More importantly, the carcass of the kitchen employs a LOW-EMISSION PANEL with wood particles with very low formaldehyde emissions -- which have been drastically reduced to less than half of the E1 European standard. Snaidero USA is the exclusive North American distributor of Snaidero kitchen cabinets. 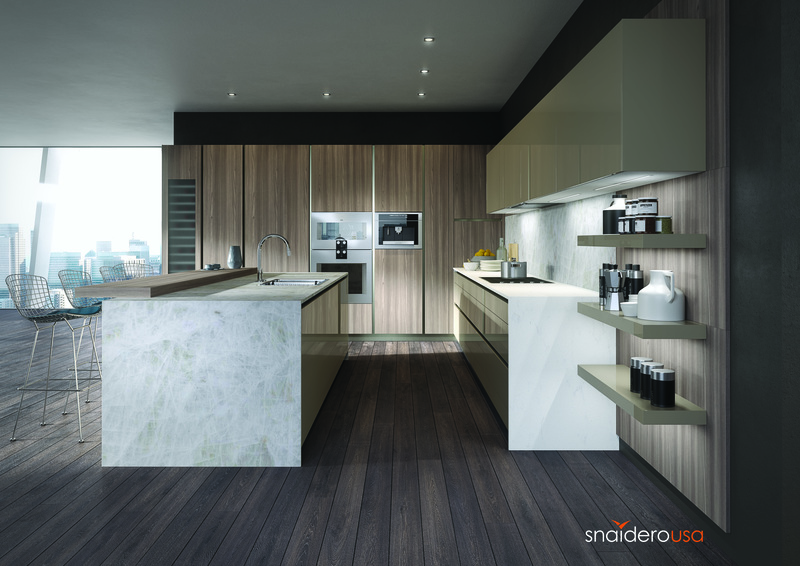 For almost 40 years, Snaidero USA has offered the finest in luxury Italian kitchen design to North America and Central America through a retail network of 21 showrooms. Snaidero USA also serves the multi-housing industry, partnering with top developers like, Howard Hughes Corporation, Fortune International Group, Turnberry, AEG, ASPAC Developments and the CMC Group, for over 160 projects completed to date. Today, under the leadership of its President, Comm. Dario Snaidero, Snaidero USA is the leader in North-American imports of European kitchen cabinets. Through its Snaidero USA Living collection, the company also offers made-in-Italy furniture for bathrooms, closets, bedrooms, living rooms and dining rooms. The kitchens are made of eco-friendly, non-toxic materials through production processes with limited impact towards the environment. Snaidero USA is a member of the US Green Building Council. For more information, please visit www.snaidero-usa.com. Magellan Development Group is a family owned company that was founded in 1996. To date, Magellan is the premier developer of mixed-use properties in Chicago. From conception to completion, Magellan looks after all aspects of the development process and has unique experience in interrelated fields of real estate design, construction management, development, development consultation, architecture, leasing, sales and marketing. Magellan is responsible for the Lakeshore East masterplan and development, which is regarded as one of the most vibrant communities in the city of Chicago. The Lakeshore East community is an example of Magellan's commitment to environmentally-sensitive urban communities, innovative design and high-quality construction. Since its founding, Magellan Development has completed over 20 large-scale, residential and mixed-use projects. Magellan also has a footprint in other major U.S. cities, including Minneapolis, Miami, Nashville, and Somerville, MA. Founded and led by Thomas Kerwin with the support of James Loewenberg, bKL is a Chicago based architectural firm with extensive experience in the design and management of complex, large scale mixed use building projects. bKL's core principles include design excellence, technical acumen and viable solutions to complex problems. Open dialogue within its studio cultivates collaboration, communication and cohesive designs that enrich the sites and cities around the world in which they build. World-renowned as the "Number 1 Hospitality Design Firm" by Interior Design and honored in 2014 by the Gold Key Awards, Hospitality Design Awards, International Hotel Awards, Society of British Interior Design Awards and the European Hotel Design Awards; HBA/Hirsch Bedner Associates, unveils the world's most anticipated hotels, resorts, casinos and spas. Leading the hotel design industry since 1965, HBA remains keenly attuned to the pulse of changing industry trends governed by today's sophisticated traveler. The company's international presence, depth of experience, and detailed industry knowledge enables them to identify interior design trends at their source, make definitive predictions about new directions and innovations, and influence design standards at a global level. HBA's ultimate objective is to add value, raise standards and enhance the brand of a project's owner and operator. HBA creates the signature looks of today's luxury brands, independent contemporary boutique hotels, urban resorts spas, world-class residences, restaurants, and casinos. From continent to continent, each HBA interior is the result of a unique and sensitive response to location, architecture, and client vision. With more than 1,600 designers around the globe in 21 offices and a recent expansion in several locations in Asia, HBA is a true global company with more than 85% of its employees now outside the United States. HBA's international presence, combined with its extensive knowledge of the interior design industry, has facilitated the ability to rewrite the language of design with each new project. For HBA in Atlanta, Bangkok, Beijing, Clark, Dubai, Hong Kong, Istanbul, Kuala Lumpur, London, Los Angeles, Macau, Manila, Melbourne, Miami, Moscow, Mumbai, New Delhi, San Francisco, Shanghai, Singapore and Tokyo, visit www.hba.com. WAY is a modern kitchen design with a rigorous architectural style and very clean aesthetics.